IDEA #87. 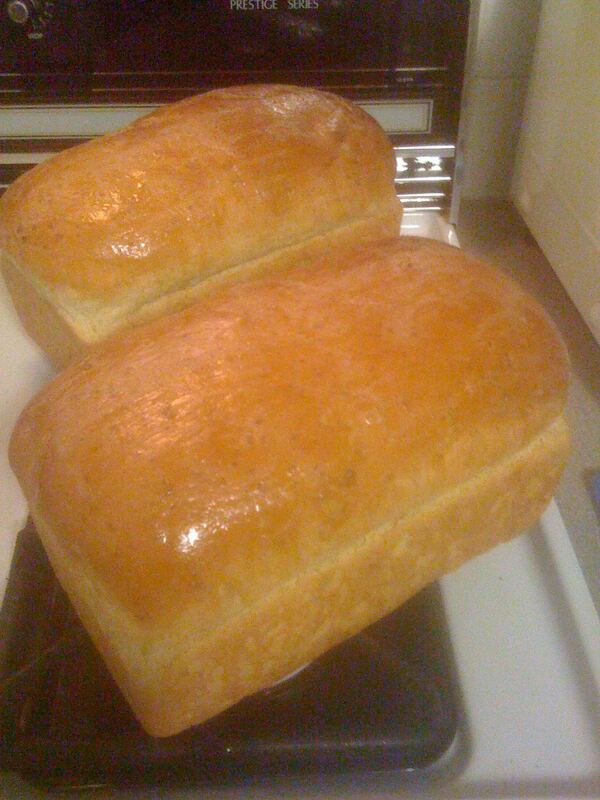 Bake a loaf (or two) of bread. It doesn’t have to be fancy, but it’s a great exercise in food chemistry, cookery, and patience. They say it’s the “staff of life,” and bread or bread-like foods are part of nearly every culinary tradition on the planet. Basically some sort of ground grain, usually but not always with a leavening agent like yeast or baking powder, breads are excellent sources of carbohydrates—regarded by most as a dietary necessary, in reasonable quantities—and their varied textures are an epicure’s delight—and they just tend to taste pretty good. Bread recipes and video instruction on parts of the job like kneading are all over the internet, and breads can be as exotic or as ho-hum as the baker wishes. The many cultural traditions represented in the bread family—from Middle Eastern pitas to South Asian naans to Native American fry-breads to the multifarious baguettes, limpas, pumpernickels, and “white bread” of Europe and America—could represent a cook’s tour of the planet for an ambitious and curious baker. We recommend tackling a yeast-raised wheat bread as a first go—the preparation of the ingredients, the proofing or activating of the yeast, the kneading, the waiting for rises, and the smell of the hot loaves as they come out of the oven and are set aside to cool before slicing are a great combination of work and pleasure and a fine exercise in deferred gratification. For thirty-some years we have been using the basic bread recipe downloadable here, the most flexible we know of. Based on white flour, yeast, sweetener (to feed the yeast), some kind of shortening, and a bit of salt, any sort of whole grain can be added, the sweetener is wide-open to experimentation, and the fat can be a low-flavor oil, butter, margarine, or (we suppose) animal fat or ghee. The process involves first mixing all the ingredients except the flour, yeast, and liquid; then add the yeast to this mixture with the bath of warm (boiled or scalded to sterilize, then cooled to body temperature) liquid; then slowly adding the flour after the yeast has burst into bubbly, fragrant life—some young bakers are intrigued by the idea of yeasts being living organisms, some are horrified. This is a twice-raised (actually thrice-raised) bread. Mix the dough to achieve a consistency so that when touched the dough doesn’t readily stick to fingers, then begin kneading. When fully kneaded, the dough is shaped into a ball, covered with a damp cloth, and left to rise in a warm (but not hot) place. When doubled in size, punch down, re-form into a ball, then allow to rise again. Divide the dough into equal parts, then shape into loaves, allow to rise, and then bake in a 350-degree oven for 30–35 minutes—perhaps a bit less if being baked as oblong loaves on a flat sheet rather than in loaf pans. Loaves should sound a bit hollow when tapped on the bottom when done. We suspect you could use gluten-free flour to make this bread, and the recipe’s flexibility also invites experiments with form: we’ve made pizza dough and dinner rolls from the same recipe as well as long baguette-shaped loaves and our usual loaf-pan loaves. If kneading sounds like a challenge, here’s another, no-knead recipe that substitutes patience for elbow-grease and makes an outstanding large, round loaf of bread. As always, interested young bakers should be supervised as they work around hot liquids and hot ovens. Once one recipe has been tried successfully, it’s time to explore the world’s recipe books for new adventures in bread!